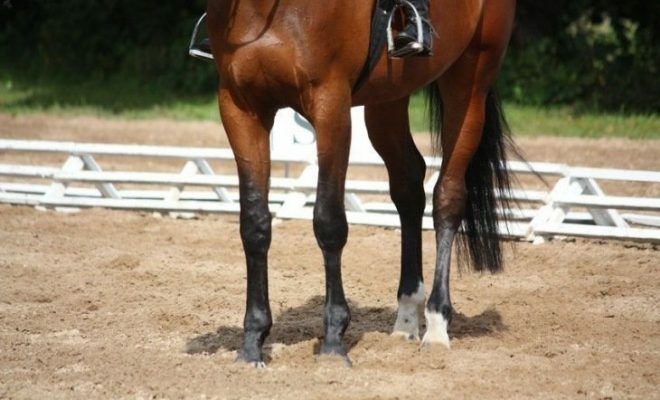 Although it is desirable and indeed necessary for a dressage horse to work forwards from the rider’s leg, problems can arise when the horse is in too much of a hurry! This can lead to the tempo of the rhythm becoming too quick and the purity of the paces being lost. 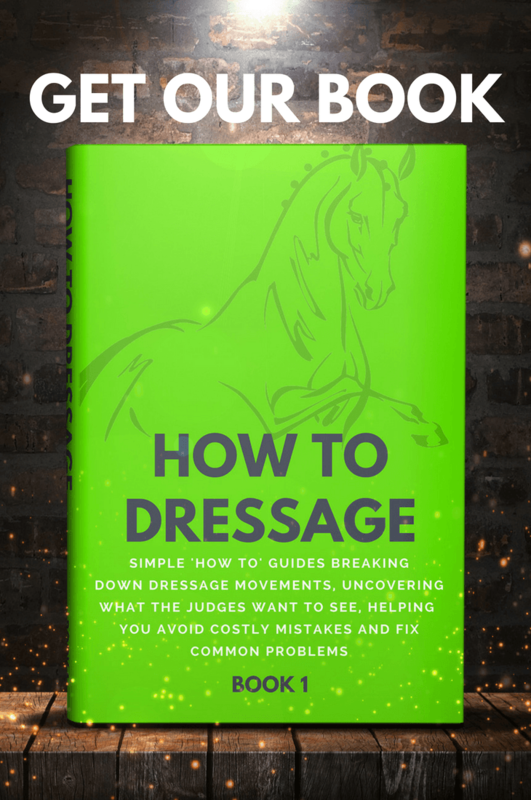 Further issues then arise with loss of balance, especially through transitions and around turns, all of which will lead to poor marks in the dressage arena. So, how do you deal with a horse that is too sensitive to your leg and rushes everywhere? Why do horses ‘run away’ from the leg? ‘Rushing’ away from the legs indicates that the horse has not learnt to accept any of the rider’s aids; not the seat, legs or reins. Running away is indicative of the horse’s natural ‘flight’ or ‘fight’ instincts when they are nervous and feeling threatened. The sharp physical responses are a direct result of excessive tension and anxiety from within. This type of response requires extreme patience and a commitment from the rider to start from the beginning of teaching the horse to calmly accept all the aids. How do you stop from rushing away from your leg? The rider must want to keep the horse’s legs slow and under control until he begins to relax and accept the rider sitting on his back. Contrary to instinct, the rider should not take the legs away from the horse’s side. Even when the horse is anxious, wanting to run away and hollow, the rider must be coordinated enough to leave their legs in a ‘breathable’ contact next to the horse’s ribs. The horse should learn to breathe into the rider’s lower legs and slow down; equally, the rider must choose an appropriate slower tempo. It is crucial that the horse learns to breathe, expand the rib cage, take in more air, and relax before the rider releases the legs. 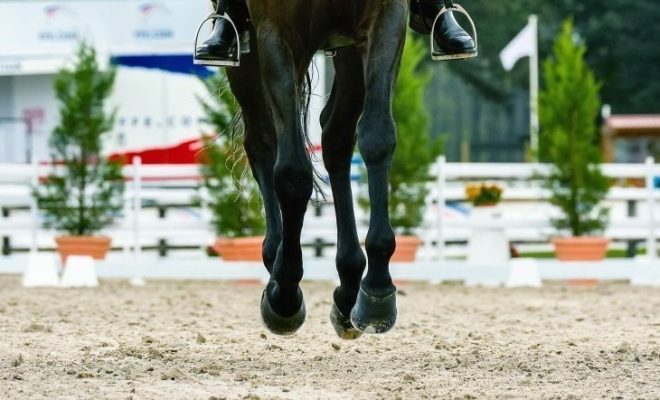 Of course the rider’s legs must not be in any way constrictive on the sides, but they must not get pushed off when the horse gets nervous and hollow, otherwise the horse will not learn to lift the back, expand the ribs and accept the rider, which is the crucial part of the early learning phase and the only way to gain high marks in the dressage sport. Through using easy exercises such as small right angle turns and small turns about the haunches, the horse will learn to ‘give’ and bend through the core, which will encourage him to loosen through the long axis and eventually look to the end of the reins. As soon as the horse seeks the end of the reins, the rider must take this opportunity and ride proactively into the contact, so the horse builds the understanding of being ridden into the contact without getting nervous. This will begin to happen in small increments but will enable the horse to build the stamina to stay ‘through’ and into the bridle. Some horses get anxious when they feel the back lift. This posture or carriage should be encouraged via the use of simple transitions and/or turns. When the horse has to bend or ‘give’ in the middle, he has to become more coordinated, and therefore more in tune with the rider. 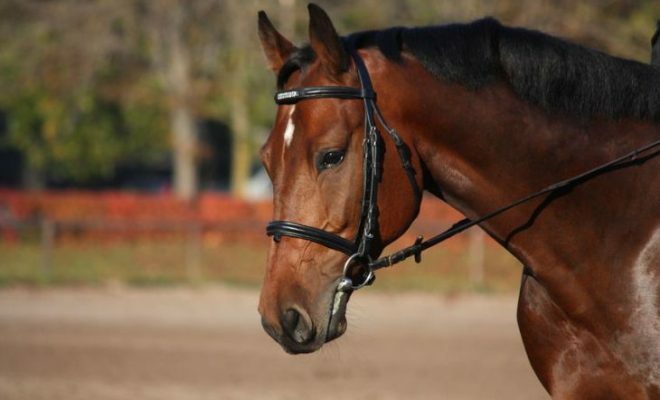 These exercises are useful and as the horse starts to build trust and confidence in the rider. They can be used in combination with each other to create mental and physical stamina. The rider should learn to feel for observations, such as a rounder frame and back, a more supple feeling through the poll and neck, a more accepting and moist mouth, a rhythmical breathing – a ‘snort’ on exhalation in rhythm with the footfall. These are all signs that the horse is starting to relax and trust the conditions of being ridden, i.e. 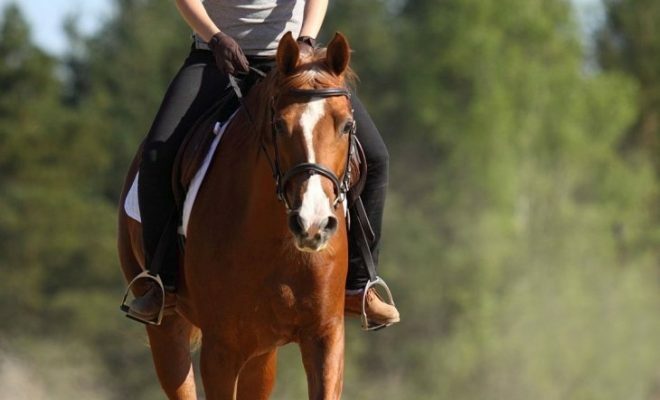 on correct aids – from the legs and seat into the rider’s hands and rein aids. 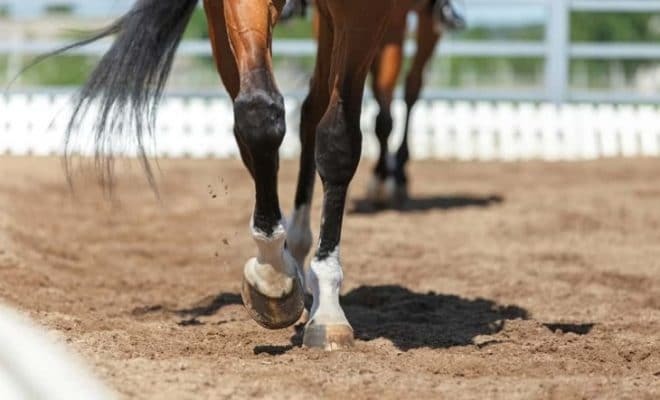 If you have a horse that is inclined to rush away from your leg, it is essential that you take things very slowly and begin his training again. 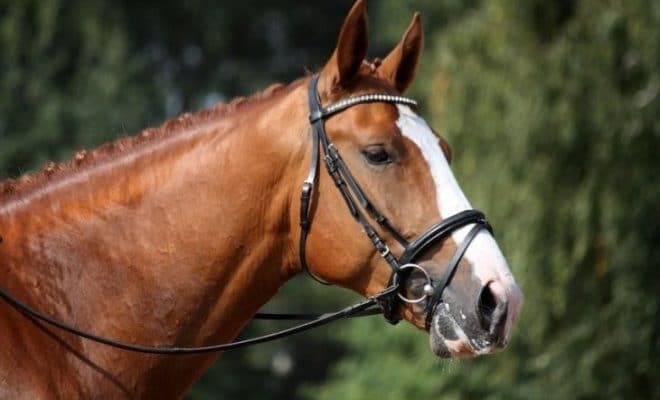 When the horse learns to confidently accept the rider’s leg, he can be ridden forwards into the bridle and the real dressage training can begin. Until you have achieved this, it is perhaps better to avoid the added pressure and stress of the competitive dressage arena. Instead, work at home on the exercises suggested above. What Does the Term ‘Happy Athlete’ Mean in Dressage?